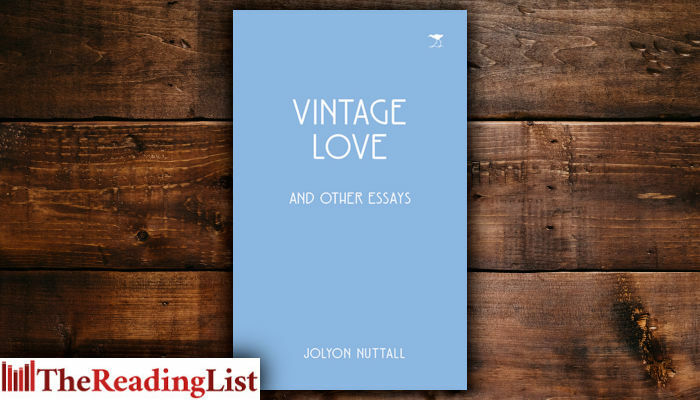 Vintage Love and Other Essays by Jolyon Nuttall is out now from Jacana Media. Nuttall, a retired newspaperman from a family steeped in literature, writes with feeling and depth – and often with wry humour – about episodes in his life as diverse as the romanticism of early loves through to the agonies of boiling an egg and learning to live alone after a long marriage. He has spurned the autobiography in favour of the essay as the Orwellian literary form in which to record these and other significant happenings in his life. An early tinkerer with words, Jolyon Nuttall became a journalist, working in London and New York during a nine-year stint attached to The Daily News in Durban. His elevation (many journalists would say demotion) to the ranks of management held the wordsmith at bay. He rose to become General Manager of The Star and a director of Argus Newspapers Ltd during the hectic 1980s. Since being freed of those preoccupations, his writing instincts have resurfaced. He has self-published works on his father’s lifelong relationship with Alan Paton, entitled A Literary Friendship, and on flyfishing, another passion of his, in a book of essays entitled Hooked on Rivers, now sold out after two editions. His latest work, Vintage Love and Other Essays, is drawn from episodes in his own life. He writes with feeling and depth about situations in which he has found himself over the years. He lives on the edge of the sea in Kommetjie, near Cape Point, where he is at peace to write.